I found the easiest way to do this is to create a PDF of the entire workbook (with bookmarks) from Excel, and then split the PDF into individual files in Acrobat. So to start, click on the Preferences icon under the Acrobat Ribbon in Excel and make sure the Create Bookmarks box is checked. 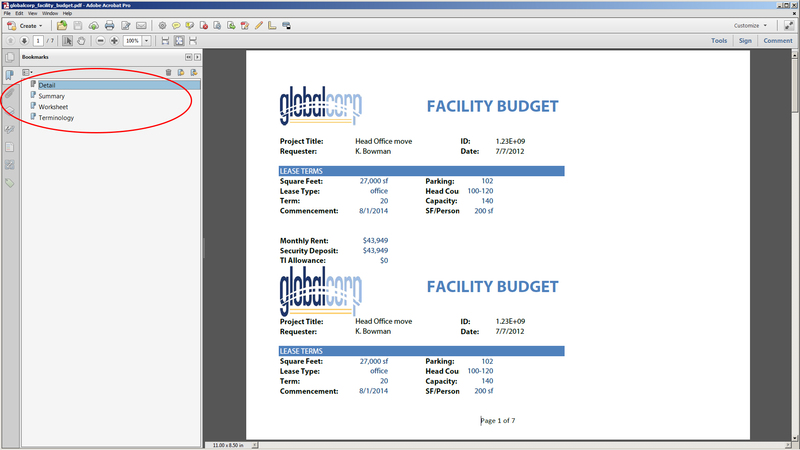 Next, select Create PDF from the Acrobat Ribbon in Excel and choose Entire Workbook from the PDFMaker dialog. When you open the PDF file in Acrobat, you’ll see top-level bookmarks for each worksheet listed in the Bookmarks navigation pane. Next, open the Tools pane > Pages panel and select the Split Document command. In the dialog, select the Top-level bookmarks radio button and this will break apart each worksheet into individual PDF files. 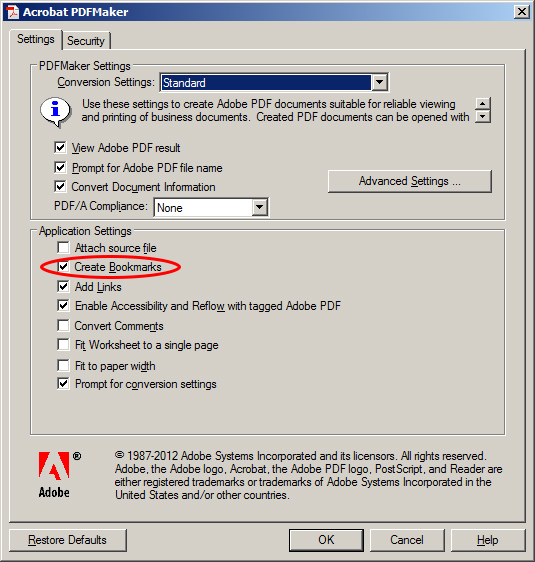 If you have several PDF files that you need to break apart using this technique, click the Apply to Multiple button in the above dialog. This will bring up the Split Documents dialog where you can add files and folders of PDF files to convert to individual PDF files using the top-level bookmarks in each file. 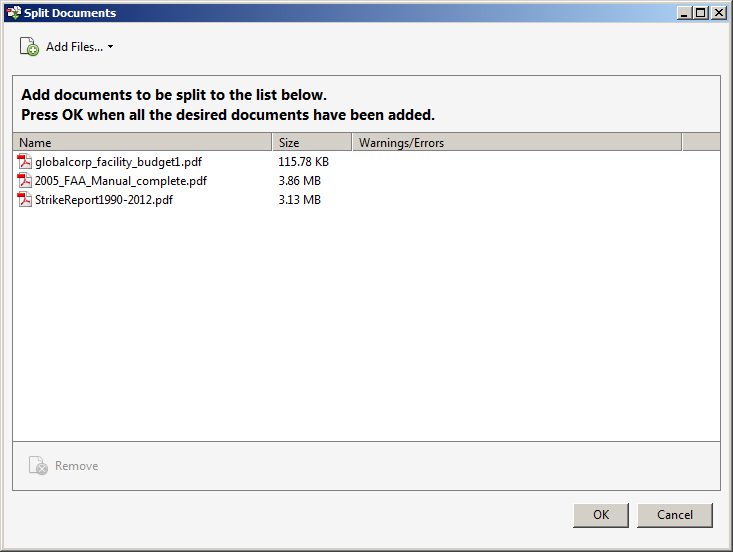 If you would like to learn more about the Split Documents command, I cover this topic during the Reorganizing Pages session that’s part of my Learn Acrobat XI course on Udemy. 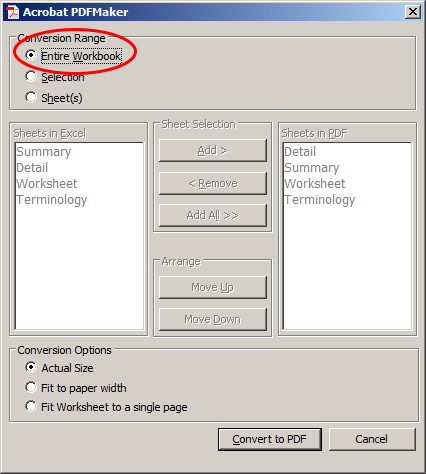 The tip to convert several sheets in one Excel file to multiple pdf files was really helpful..Thank You!…Is it possible to save pdfs with the same sheet name as in Excel? I have almost 50 sheets in one file to be converted to 50 pdfs. It would be great if there is a way to save them with the same name instead of me going to each and renaming. Would the headers and page numbers in pdf reflect that was set in Excel? When you use the Split command to save the individual PDFs, there is an Output option to “Use bookmark names for file names”. 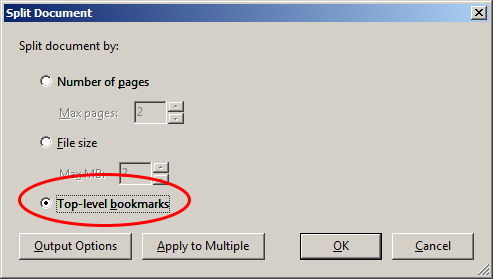 The bookmarks use the workbook sheet names so you’re able to save them with the same name as the workbook sheet. Thanks again! However page numbering set up for individual sheets is lost in this approach as I see, pdf assumes all sheets as one document.